If you want a large screen over 60” then a Projector screen is the best option. 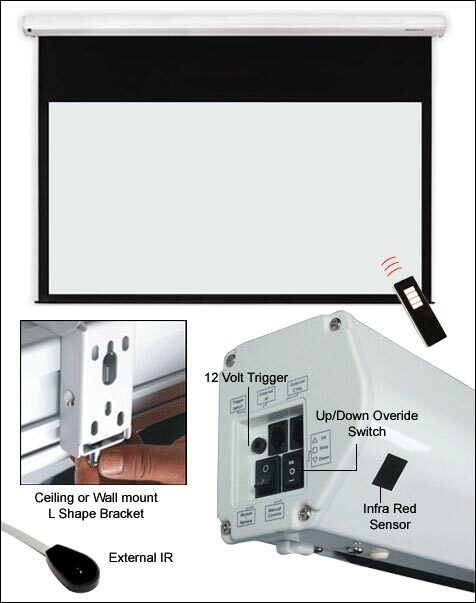 Our choice of projection screen is from the Grandview product range. These high quality screens come in a range of sizes from 6 to 12 feet wide with either fixed frame or electric remote controlled models. These cinema screens offer excellent value for money and provide fantastic images when matched with a good quality projector.